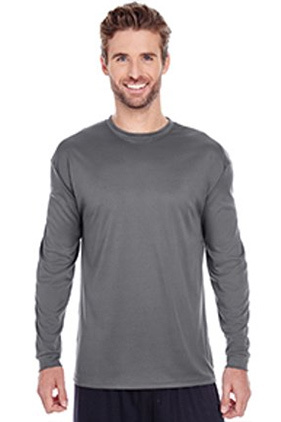 100% polyester moisture management/antimicrobial performance fabric long sleeve t-shirt. Self-fabric collar. Double-needle hem.